History is often presented in grey, rather dry terms, but when you do a bit of digging, our past is full of remarkable people who had wicked senses of humor and died with as much vigor as they lived. In this article we will look at some of the most prominent people and funny events in history, where you just have to laugh. The Pilgrims were the first English settlers of the Plymouth Colony in present-day Plymouth, Massachusetts, United States. It has been said that the first thing said to the Pilgrims by the Native American Samoset, was specifically: “Do you have any beer?” in perfect English. European trade routes to North America had already existed for several generations and cod fishermen and trade diplomats had traveled extensively to the Americas from Europe. Historical records back up the fact that Samoset was the first Native American to greet the pilgrims and the possibility that he requested a cold beer is actually supported by most specialists. Taking advantage of an online public database shared by genealogy enthusiasts, researchers have created a massive, crowd-sourced family tree. It tracks the births, marriages and deaths of millions of people, shedding light on the impacts of war, culture and disease over the last several centuries. The results are featured in a study in the March 2 issue of Science. Many people enjoy constructing their own family trees, digging deep into their roots to understand their ancestors. Looking at the connectivity between people can also be helpful for researchers examining genetic and cultural patterns. In 2010, Yaniv Erlich was leading a group of researchers at Whitehead Institute when he read about using pedigrees, essentially family trees, as a means to study genetics. He was already passionate about using family trees, having submitted his own data to one of the largest online public genealogy databases, Geni.com. “Being a Geni user for some time, I thought that Geni can be a wonderful alternative to traditional methods for collecting family trees that do not scale well,” explained Erlich, who now works as the chief science officer of MyHeritage (the Geni parent company) and is an associate professor at Columbia University. With permission, he and his colleagues analyzed 86 million publicly available profiles from the website, which mostly reflect the histories of people in Europe and North America. They cross-referenced the family tree they created with publicly available death records from Vermont to confirm that the tree accurately reflects participants’ histories. The family tree they assembled shows the darker moments in recent human history; for example the massive waves of death during the American Civil War, World War I and World War II. But the tree also shows a reduction in child mortality during the 20th century, likely reflective of medical advances. One of the analyses that Erlich and his team performed using the data focuses on the heritability of longer lifespans. Previous studies looking at families and genetics have estimated that the heritability of longevity is roughly 25%. By analyzing the Geni.com data, Erlich found that heritability of longevity is substantially lower, at 16%. The history of our families is an allure that is becoming increasingly accessible as mountains of historical documents are digitized and made public. But while uncovering the secrets of your family heritage may surprise and even impress, there are some dark corners our great-grandparents may have preferred to have kept hidden. In a time before brain scans and cognitive therapy, the mentally ill were often labelled as lunatics and consigned to the concrete floors of 19th century asylums. A century later and almost 150,000 historical records including patient registers, newspaper clippings, photos and even suicide notes, have been collected and digitized by the genealogy website Ancestry. An insight into forgotten family histories. Content Acquisition Manager for Ancestry Jason Reeve said his team worked with the Public Records Office of Victoria to access and digitize almost 50,000 records and 97,000 images from 15 institutions. “This means 50,000 individuals,” Mr Reeve said. Mr Reeve said while the records taken from 1853 to 1940 were generally “not cheerful”, they offered critical information that would be otherwise left unnoticed. “When you’re looking at family history, it’s not just about the good things, the good stories, the fun stories, there’s also the challenges that families had,” he said. “When you look back a couple of generations you start to find that people didn’t talk about family history generally, let alone challenges in their family history. Mr Reeve said the records shed light on how far common understandings of mental health have progressed. “There are some records that pertain to people being in those institutions which in the modern world, they wouldn’t be there. 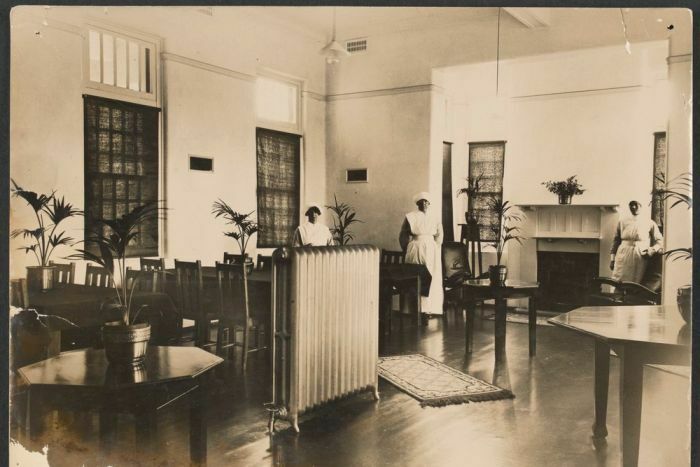 Records were collected from Victoria’s institutions in Ararat, Ballarat, Belmont, Cloverdale, Kew, Lara, Merton, Mont Park, Mt Ida, Northcote, St Helens, Yarra Bend and ‘the Tofts’ in Frankston. Read on . . .
Library and Archives Canada’s move to finally release a 98-year-old document on Ottawa’s treatment of sick First Nations children sheds a small sliver of light onto a part of Canada’s history still shrouded by the darkness of locked archives, researchers say. Library and Archives initially refused to release the document under provisions of the Access to Information and Privacy Act that exempts files covered by solicitor-client privilege. The 1920 document contained a request for advice from Indian Affairs along with the response from the Department of Justice on whether existing provisions in the Indian Act gave officials the power to create regulations allowing for the forcible removal of sick First Nations children. The document was requested by researcher Edward Sadowski who filed a complaint last October with the federal Office of the Information Commissioner which opened an investigation. A little over a week after CBC News first reported on the case, Library and Archives informed Sadowski it had reconsidered the case and decided to release the document without restrictions. “After a more in-depth review of this Access to Information request Library and Archives Canada has decided to apply discretion to open this document which is protected by solicitor client privilege,” wrote Julie Gingras, a senior analyst, in a Feb. 9 letter to Sadowski. Sadowski said he is still befuddled by the issue. “I don’t know why there was restrictions on it at all,” he said. 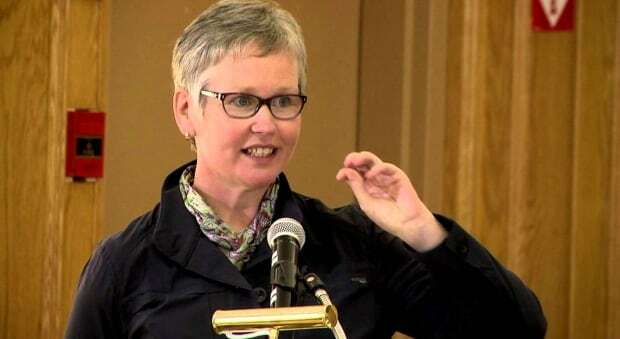 Laurie Meijer Drees, chair of the First Nations studies department at Vancouver Island University, said the released file is part of a “constellation of documents” that map out the ideology, policy and regulatory decisions behind the federal government’s handling of health care for Indigenous peoples. “There are hundreds of documents in archives that should be opened but are not, that we need to look at to get a better impression of what went on,” said Drees. Drees said Library and Archives still keeps all records produced by the federal National Health and Welfare Department locked in their archives. The department took over First Nation and Inuit health care from Indian Affairs in 1945. Drees said health records produced by Indian Affairs are only accessible through individual requests under the Access to Information Act. “You can’t actually research this topic as as researcher because it could take you 100 years to get them,” she said. 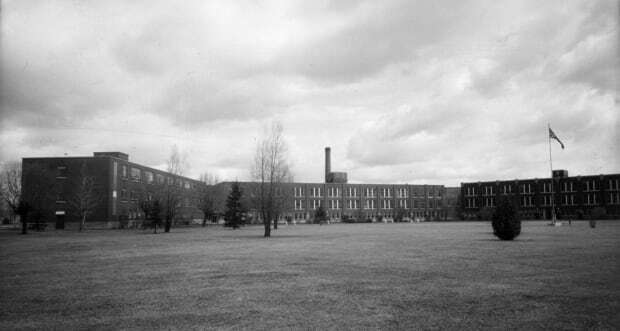 Sadowski was requesting the document as part of research to support a failed court application to include the Fort William Indian Hospital Sanatorium School, where First Nation students who contacted tuberculosis were sent for treatment, as part of the Indian Residential School Settlement Agreement. Sadowski said the document reveals the steps Ottawa took to try to deal with tuberculosis outbreaks in First Nations communities, which were made worse by residential schools, while keeping costs down. “This is a very complex issue,” he said. The document, in the form of two letters, is from the era when Duncan Campbell Scott was deputy superintendent of Indian Affairs. Scott was the architect behind amendments to the Indian Act that made it mandatory for First Nations children to attend residential schools. The case of a young girl. The March 27, 1920, Indian Affairs letter was written by the assistant deputy and secretary for the department who describes a report from a departmental doctor working on the Peguis First Nation. A digital mapping project created by librarians and students at the University of New Brunswick lets you follow the lives of Loyalist men and women, revealing the fascinating journeys of some of New Brunswick’s earliest settlers. New Brunswick Loyalist Journeys is the result of two years of research using historical documents in the Harriet Irving Library. Using geographic information system (GIS) mapping technology with archival material, the site tells the stories of ordinary Loyalists who settled in York County after the American Revolution. Leah Grandy, a library assistant in the microforms department, spearheaded the project. She said it started off as a biographical project. As the research progressed, it became clear there was a significant geographic component to each Loyalist’s story because they’d been all over the world, she said. “We thought using maps would be a great way to show how wide-ranging they were and the variety of their experience,” said Grandy. Each Loyalist’s biography has its own map and is divided into sections depending on where they were at the time. “It really shows that life journey that they went through, first through American colonies throughout the war, and then resettlement in York County,” Grandy said. The project showcases Loyalists from a variety of backgrounds, including Moses Simpson, a black man who escaped slavery and earned his freedom after enlisting in the British army. Halfon, who chairs the Commons select committee on education, is no Thucydides, but he echoed complaints down the ages when he singled out medieval historians as undeserving of public funding. At Cambridge, which has one of the largest concentrations of ancient and medieval historians in the world, there was some surprise at Halfon’s implication that history graduates do little to benefit the country. Three of the current cabinet have history degrees: Amber Rudd, the home secretary, Chris Grayling, the transport secretary, and David Lidington, the Cabinet Office minister and de facto deputy prime minister, who completed his PhD at Cambridge on medieval court practices. 300 mysterious skeletons in mass grave: An ancient Viking army that died together? The massive graveyard of a suspected ancient Viking army that invaded England in the late ninth century was accidentally unearthed in a church garden more than 30 years ago. But scientists couldn’t date the bones age, which meant they couldn’t figure out who the 300 skeletons had belonged to. A new technology has changed this and the results are finally in.In a study published online in Antiquity, a team of researchers led by Cat Jarman, a professor of archaeology and anthropology at University of Bristol, used a new type of carbon dating to accurately date the skeletons.Many researchers believed these bones belonged to members of the Viking “Great Army,” which began their invasion of England in 866, but proving this has been difficult. Past carbon dating of the bones put different skeletons dying in different centuries. Jarman told Newsweek that a large number of the bones had carbon dates that put them dying in the 9th, 8th, and 7th centuries, suggesting that the skeletons had been slowly deposited in the graves over several thousand years. In the new study, the team used a form of carbon dating that took into account the large number of “old carbon” that the individuals may have consumed as a result of a high seafood diet. 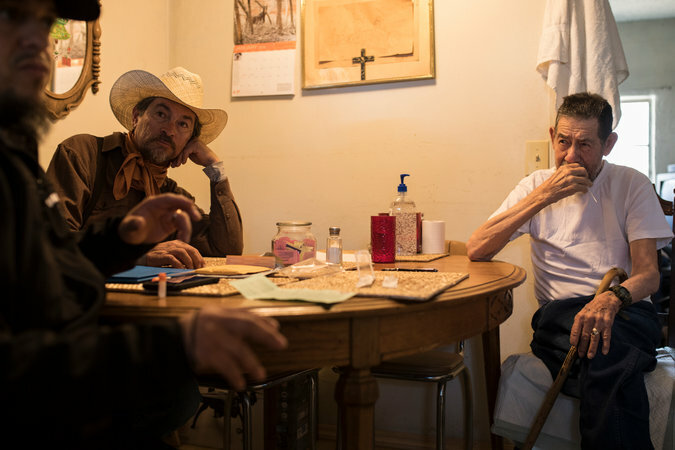 Lenny Trujillo made a startling discovery when he began researching his descent from one of New Mexico’s pioneering Hispanic families: One of his ancestors was a slave. The revelations have prompted some painful personal reckonings over identity and heritage. But they have also fueled a larger, politically charged debate on what it means to be Hispanic and Native American. A growing number of Latinos who have made such discoveries are embracing their indigenous backgrounds, challenging a long tradition in New Mexico in which families prize Spanish ancestry. Some are starting to identify as Genízaros. Historians estimate that Genízaros accounted for as much as one-third of New Mexico’s population of 29,000 in the late 18th century. “We’re discovering things that complicate the hell out of our history, demanding that we reject the myths we’ve been taught,” said Gregorio Gonzáles, 29, an anthropologist and self-described Genízaro who writes about the legacies of Indian enslavement. New Mexico, which had the largest number of sedentary Indians north of central Mexico, emerged as a coveted domain for slavers almost as soon as the Spanish began settling here in the 16th century, according to Andrés Reséndez, a historian who details the trade in his 2016 book, “The Other Slavery.” Colonists initially took local Pueblo Indians as slaves, leading to an uprising in 1680 that temporarily pushed the Spanish out of New Mexico. The trade then evolved to include not just Hispanic traffickers but horse-mounted Comanche and Ute warriors, who raided the settlements of Apache, Kiowa, Jumano, Pawnee and other peoples. They took captives, many of them children plucked from their homes, and sold them at auctions in village plazas. The Spanish crown tried to prohibit slavery in its colonies, but traffickers often circumvented the ban by labeling their captives in parish records as criados, or servants. The trade endured even decades after the Mexican-American War, when the United States took control of much of the Southwest in the 1840s. 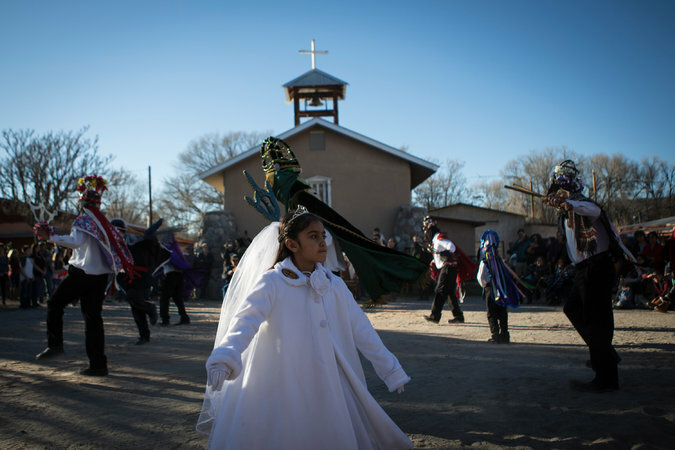 Many Hispanic families in New Mexico have long known that they had indigenous ancestry, even though some here still call themselves “Spanish” to emphasize their Iberian ties and to differentiate themselves from the state’s 23 federally recognized tribes, as well as from Mexican and other Latin American immigrants. HALIFAX — A group supporting a proposed CFL team in Halifax touched off a fiery debate online when it proposed naming the team after one of the country’s greatest maritime disasters. On Twitter, CFL in Halifax pitched the idea of calling the football team the Halifax Explosions — a reference to the devastating explosion in the Halifax harbour in 1917 that killed about 2,000 people. A similar name, the Halifax Xplosion, is used by the city’s team in the Maritime Women’s Football League. It didn’t take long for people to register their rebukes. Others were more creative with their disapproval. Money doesn’t grow on trees, which is too bad, because it would make researching your family tree a lot easier. If you aren’t careful, or even if you are, you could end up spending a small fortune while researching your family history. Just ask Lana Rushing, who owns a public relations firm in Los Angeles. In the spring of 2014, she was on a vacation in Ireland and stopped by the library in Dublin, hoping to learn more about her mother’s side of her family tree. She came away inspired to learn more, soon after subscribing to a genealogy website, getting her DNA tested and traveling in order to search for clues about her past. It’s a hobby that can get costly. “All told, I have spent about $4,800 so far, but it has been worth every penny,” says Rushing, who isn’t including in her tally the cost of that vacation to Ireland. Most people who spend money researching their family probably do feel that the expense is worth it. After all, looking at genealogy isn’t something one has to do, like paying for car repairs. People do it because they want to. Still, if you’re looking for ways to research your family tree and want to know what you’re in for, or if you want to spend more money in order to dig up more roots, you have a number of things you can spend money on. Ancestry.com is likely the best-known of these sites; an annual subscription starts at $189 ($99 for six months). For the money, you’ll receive access to a seemingly limitless amount of historical data, including census and military records as well as birth, marriage and death certificates. But there are other genealogy sites you may want to check out, such as FamilySearch.org (which is free and a good place to start), FindMyPast.com (starts at $9.95 a month; aimed at people with British and Irish heritage) and Afrigeneas.com (free, and for people researching African-American roots). You can also use genealogy services without paying for them. “Most public and state libraries subscribe to one or more genealogy services. These are available [online] at no cost to anyone with a library card, though Ancestry’s library collection can only be accessed from the library [building],” says Stacy Harris, a publisher and editor in Nashville, Tennessee. You know you are part Native American, Pakistani or Italian but are wondering, just how much? You could use companies like MyHeritage DNA, Family Tree DNA, AncestryDNA and 23andMe. Their prices generally range from $79 to $199, with sales sometimes popping up throughout the year. That can get expensive, though, if you and a spouse or other family members are interested in your ancestry. For instance, over the holidays, Dana Freeman, a travel journalist in Burlington, Vermont, bought DNA kits for herself, her husband, her sister and brother-in-law for a total of $260. She also purchased a six-month membership to Ancestry.com and is contemplating becoming a paid member to other ancestry websites and doing some travel-related research. She says that she has been interested in genealogy for some time, collecting information from relatives and keeping track of it in a hand-written family tree book she bought 20 years ago for nine bucks. Only recently did she begin spending money to learn more about her past. “I fear though going forward this endeavor is going to be a lot more expensive,” Freeman says. Many of us have surnames passed down to us from ancestors in England. Last names weren’t widely used until after the Norman conquest in 1066, but as the country’s population grew, people found it necessary to be more specific when they were talking about somebody else. Thus arose descriptions like Thomas the Baker, Norman son of Richard, Henry the Whitehead, Elizabeth of the Field, and Joan of York that, ultimately, led to many of our current surnames. There are perhaps 45,000 different English surnames, but most had their origins as one of these seven types. Occupational names identified people based on their job or position in society. Calling a man “Thomas Carpenter” indicated that he worked with wood for a living, while someone named Knight bore a sword. This kind of name also gave a clue about whom a servant worked for. Someone named Vickers might have been a servant to Mr. Vicker, and someone named Williams might either have served a William or been adopted by him. From the obscure fact department: In medieval England, before the time of professional theater, craft guilds put on “mystery plays” (“mystery” meaning “miracle”), which told Bible stories and had a call-and-response style of singing. A participant’s surname — such as King, Lord, Virgin, or Death — may have reflected his or her role, which some people played for life and passed down to their eldest son. Some names, often adjectives, were based on nicknames that described a person. They may have described a person’s size (Short, Long, Little), coloring (Black, White, Green, or Red, which could have evolved into “Reed”), or another character trait (Stern, Strong, Swift). Someone named Peacock might have been considered vain. From an English place name. A last name may have pointed to where a person was born, lived, worked, or owned land. It might be from the name of a house, farm, hamlet, town, or county. Some examples: Bedford, Burton, Hamilton, Hampshire, Sutton. Writer Jack London’s ancestor may have hailed from London. From the name of an estate. Those descended from landowners may have taken as their surname the name of their holdings, castle, manor, or estate, such as Ernle or Staunton. Windsor is a famous example — it was the surname George V adopted for the British royal family. Police can request your DNA from sites like Ancestry, 23andMe. Millions of people have handed their DNA over to genetic testing companies like Ancestry or 23andMe to learn more about their family history. Eric Yarham wanted to learn about his heritage, so he mailed off his saliva to 23andMe. “I’m just trying to unravel the mystery that is your genetics,” said Yarham. Yarham was surprised to find a tiny portion of his DNA profile can be traced back to sub-Saharan Africa. He was also unaware that his genetic information could end up in the hands of police. “The police make mistakes and I would rather not be on the unfortunate end of one of those mistakes, as a result of my DNA being somewhere that is unlucky,” Yarham said. Both 23andMe and Ancestry confirm your DNA profile could be disclosed to law enforcement if they have a warrant. According to the company’s self-reported data, law enforcement has requested information for five American 23andMe customers since it began offering home test kits more than a decade ago. Black said she wouldn’t entirely rule it out in the future. “We would always review a request and take it on a case-by-case basis,” Black said. Like a growing number of Canadians, the family of Terry Fox has explored and claimed its Métis heritage. Marian Gladue was deeply involved in the lives of her grandchildren, including the most famous one: Terry Fox. She was around for his birth in 1958, and visited him when he was diagnosed with cancer years later. In 1980, when illness forced Mr. Fox to end his Marathon of Hope, a cross-country run to raise money for cancer research, the young athlete’s maternal grandmother quickly left her Manitoba home and traveled to B.C. to support him. But despite their closeness, she was evasive with her family members about a part of her ancestry that they have now begun to explore. Years after she died in 2001, family research has confirmed that Marian Gladue was Métis. While Ms. Gladue was apparently reluctant to talk about it, her descendants have embraced the once-hidden issue, with many now declaring they are also Métis. Darrell Fox says members of his family are now intent on exploring “this interesting part of our lives” and what it means for Terry Fox’s legacy. Darrell Fox attended the closing ceremonies of the North American Indigenous Games in Toronto in July, and declared the Fox family “very proud” of its Métis heritage. Métis Nation BC, which describes itself as a self-governing nation, has confirmed the status of Darrell Fox and his daughter Alexandra based on criteria that include self-identification, being of historic Métis Nation ancestry, acceptance by the Métis community and submitting an application with the correct documentation. “Métis Nation British Columbia is proud, as it is with all Métis people in the province of B.C., that the Fox family was able to discover their Métis ancestry and made the decision to register,” the organization said in a statement. An estimated 450,000 Canadians self-identify as Métis, people who trace their origins to early unions between First Nations people and European settlers. In marking Louis Riel Day this year, the B.C. government noted that the province has 90,000 self-identified Métis people, up from about 30,000 since 2006. In April, 2016, the Supreme Court of Canada ruled that Métis are one of three constitutionally recognized Indigenous groups, along with First Nations and Inuit. Metis leaders and historians have noted that more Canadians are embracing their Métis heritage. “It’s certainly a trend that I would say is happening right now,” said Jean Teillet, a treaty negotiator and adjunct professor of law at the University of British Columbia, who wrote a book on the history of the Métis nation. Ms. Teillet, the great-grandniece of Métis icon Louis Riel, says it seems to her that many Canadians want to be connected to the country’s Indigenous people, which she finds striking as people who have been part of the “settler society” find an element that casts a new light on their history. “I think it’s a fascinating trend. I think it is odd,” she said. How much more Canadian can you get? The Métis created a culture of their own that was truly, uniquely Canadian. They were strong people who helped make this country. But Darrell Fox and his cousin Carrie Shaw, who did much of the research about Ms. Gladue, describe their interest as an effort to understand their past and set the record straight for future generations. And they say they are proud to be associated with Métis culture. Marian Gladue was the mother of Terry Fox’s mother, Betty. Marian’s great-grandmother was Madeleine Poitras, a Métis. The family believes her husband, Charles Gladue, was a buffalo hunter who also had Métis heritage. 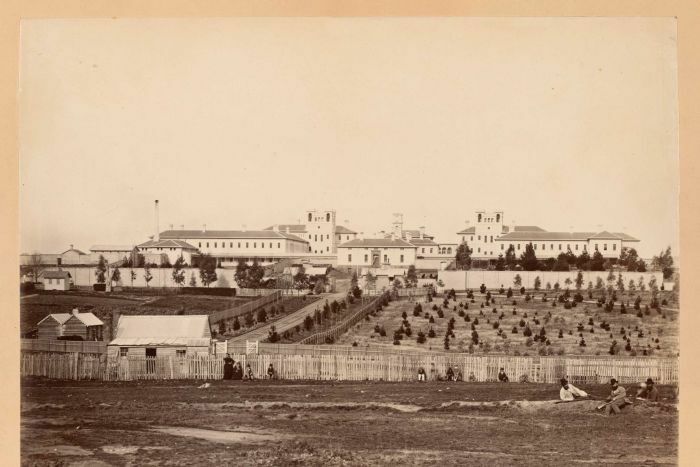 Around 1878, Charles and Madeleine moved to North Dakota after the Canadian military occupied the Red River district. Marian Gladue’s parents were born in North Dakota, and Marian Gladue was born in 1910 in Dunseith, N.D. Her family eventually returned to Manitoba. In 1928, Marian Gladue married John Wark. They had five children, including Betty Wark, who was born in Boissevain, Man. In 1956, Betty married Rolland Fox. They had four children. Fred, followed by Terry, Darrell and Judith. In 1966, the family moved from Winnipeg to Surrey, B.C. and then to Port Coquitlam in 1968. It was Carrie Shaw, who lives in Cochrane, Alta., who decided after Marian Gladue’s death to try sorting out her grandmother’s past. Ms. Shaw is the daughter of Betty Fox’s brother John Wark. “I have always loved history, family history, my history, where do I come from, why do I do some of the things I do, or like to do,” she said in an interview. The story of how Homo sapiens spread from Africa to the rest of the world is a tangled epic, full of false starts and dead ends. Yet perhaps nowhere is the puzzle more difficult than in the Americas, two landmasses divided from the rest of the world by two huge oceans. Zoom out, though, and you’ll see that isolation has only been imposed for the last 11,000 years; before then, a narrow land bridge called Beringia stretched between Siberia and Alaska, providing an icy highway for travelers. This week, scientists reported explosive new findings on the genetic story of one of those ancient travelers: an infant girl named Xach’itee’aanenh T’eede Gaay by the local indigenous people, who lived for a brief time 11,500 years ago in an Alaskan community now called Upward Sun River. The infant’s genome has the power to rewrite what we know about the human journey into North America—and in doing so, points to the larger genetic revolution that is reshaping the field of archaeology. Last Wednesday, December 20, Ancestry’s Information Security Team received a message from a security researcher indicating that he had found a file containing email addresses/username and password combinations as well as user names from a RootsWeb.com server. Our Information Security Team reviewed the details of this file, and confirmed that it contains information related to users of Rootsweb’s surname list information, a service we retired earlier this year. For those of you who are unfamiliar, RootsWeb is a free community-driven collection of tools that are used by some people to host and share genealogical information. Ancestry has been hosting dedicated RootsWeb servers as a favor to the community since 2000. Importantly, RootsWeb does not host sensitive information like credit card numbers or social security numbers, and is not supported by the same infrastructure as Ancestry’s other brands. We are in the process of informing all impacted customers and will also be working with regulators and law enforcement as appropriate. We also reviewed the RootsWeb file to see if any of the account information overlapped with existing accounts on Ancestry sites. We did confirm that a very small number of accounts – less than one percent of our total customer group – used the same account credentials on both Rootsweb and an Ancestry commercial site. We are currently contacting these customers. In all cases, any user whose account had its associated email/username and password included on the file has had their accounts locked and will need to create a new password the next time they visit. Immediately after receiving the file containing the RootsWeb surname list user data, the Ancestry Information Security Team commenced its analysis of the file and its contents, and started a forensic investigation of RootsWeb’s systems to determine the source of the data and identify any potential active exploitation of the RootsWeb system. As a result of that analysis, we determined that the file was legitimate, although the majority of the information was old. Though the file contained 300,000 email/usernames and passwords, through our analysis we were able to determine that only approximately 55,000 of these were used both on RootsWeb and one of the Ancestry sites, and the vast majority of those were from free trial or currently unused accounts. Additionally, we found that about 7,000 of those password and email address combinations matched credentials for active Ancestry customers. As part of our investigation, our team also uncovered other usernames that were present on the RootsWeb server that, though not on the file shared with us, we reasonably believe could have been exposed externally. We are taking the additional step of informing those users as well. Two men who have been best friends for decades just found out they are closer than they ever imagined. After searching for a family, both men discovered they are half-brothers. “Well, we love to play cribbage. We’ve been playing cribbage all our lives,” said Robinson. “I beat him the last time we played,” said Macfarlane. The two were born and raised in Hawaii and they played football at Punahou. They met in the sixth-grade and shared a special bond throughout their friendship. Walter never knew his father and Alan was adopted. “I had a younger brother that I lost when I was 19 so I had never nieces or nephews and I thought I’d never know my birth mother, I’ll never have any nieces or nephews,” said Macfarlane. With the help of his family, Walter searched for answers for years through the internet and social media, with no luck. So, they turned to family DNA matching websites. “So, then we started digging into all of the matches he started getting,” said Cindy Macfarlane, Walter’s daughter. If you submit DNA to a genealogy website, KIRO 7 discovered law enforcement may have access to the results. So far more than 5 million people have submitted DNA to search their genealogy on Ancestry.com. Customers send in a sample of their saliva to companies like Ancestry.com and 23andMe.com. The websites allow customers to find out where their ancestors came from, and where they settled in the United States. But we found law enforcement could get access to your DNA profile to solve a violent crime. Idaho Falls police turned to Ancestry.com to try to solve the cold-case murder of Angie Dodge — which “48 Hours” investigated. Dodge was 19 years old in 1996; detectives say the killer left his DNA behind. In 2014 police decided to try something new, and searched a public DNA database owned by Ancestry.com. When there was a hit, police used a warrant to get the name of the man. His age didn’t match the killer, so they zeroed in on his son, Michael Usry. Usry was cleared of the crime after his DNA did not match the DNA at the crime scene. The case is still unsolved. Ancestry.com told us this case is unique because it involved a public database it owned and it has now made that database private. We wanted to see if genealogy databases could be used to solve any local cold cases, so we sat down with Pierce County Prosecutor Mark Lindquist. “As prosecutors we are always going to want DNA — it is powerful and unique evidence. You’re going to get the right person with DNA. We just want to make sure law enforcement has played by the rules and obtained a warrant where necessary before we use that DNA,” said Lindquist. As the popularity of genealogy databases grows, so does the amount of DNA that’s available to investigators. “There are constant advances in DNA technology and this is just another example of how the reach is expanding,” said Lindquist. Privacy statements posted on Ancestry.com and 23 and Me both confirm your genetic profile could be shared with law enforcement if they have a warrant. A privacy officer for 23 and Me says they try not to make it easy. “When and if we do receive a request, we’ll continue to do everything we can to fight that request and protect the information of our customers,” said 23 and Me Chief Privacy Officer Kate Black. HALIFAX — Nova Scotia Lt.-Gov Arthur J. LeBlanc has unveiled a Canada Post stamp that commemorates the Halifax Explosion. The stamp depicts the moments after the munitions vessel SS Mont Blanc collided with the SS Imo in Halifax harbour on Dec. 6, 1917. Designer Larry Burke says the challenge was to tell the story in a way that had enough impact so people would understand the “enormity” of the tragedy. Burke says the newspaper headline “really says everything”, and he knew it had to be at the heart of the stamp’s concept. The massive explosion that resulted from the harbour collision killed 2,000 people, injured 9,000 and left 25,000 homeless. Maybe it’s because I’m a genealogist and understand the value of knowing our own histories – good and bad, or maybe it’s because of my innate sense of right and wrong and knowing that we all lose in the end if the mistakes of our past are forgotten. Either way, I strongly believe if the records documenting residential school abuses are to be destroyed, we would be doing a great disservice to ourselves and future generations. I write this after reading the following article and as I sit to watch a documentary, “Anne Frank’s Holocaust” and marvel at the importance one simple, informal document has gained as an honest description of the horrors of the holocaust – and that document is Anne Frank’s Diary. At the very least, all of the documents should be digitized and classified until the legal privacy period has passed and they can become available to the general public. Some of the records detailing painful abuses suffered by residential school students will be destroyed as soon as two years from now following a Supreme Court ruling that settles the documentation’s fate. The 7-0 high court ruling released Friday brings clarity to an issue that pitted the privacy of victims against the importance of documenting a dark chapter in Canada’s relations with Indigenous Peoples. For over a century, tens of thousands of Indigenous children were required to attend residential schools, primarily run by religious institutions and funded by the federal government. Students were not allowed to use their languages or cultural practices. Former pupils provided accounts of physical, sexual and emotional abuse as part of an independent assessment process to determine compensation — a program that flowed from a major 2006 settlement agreement aimed at ensuring a lasting resolution of the residential schools legacy. The Supreme Court upheld a lower court ruling that said the sensitive material collected for the independent assessments should be destroyed after 15 years, though individuals could consent to archival preservation of their stories. In its reasons for the decision, the Supreme Court said the negotiators of the settlement agreement intended the assessment process to be a confidential and private one, and that claimants and alleged perpetrators relied on these confidentiality assurances. Under the process, claimants disclosed intimate personal information, including a first-person narrative outlining his or her request for compensation. Applications were then forwarded to the federal government and the church organization that operated the residential school. If the claim was not settled at this stage, it proceeded to a hearing before an adjudicator, supervised by the chief adjudicator of the Indian Residential Schools Secretariat. The settlement agreement operations branch of the federal Indigenous Affairs Department represented the government as a defendant to the claims. Participants were advised that the hearings would be held in private, and that each person who attended must sign a confidentiality agreement. On the fourth season premiere of “Finding Your Roots,” Henry Louis Gates Jr. revealed a match between the Senator and comedian’s DNA. In fact, Larry David and Bernie Sanders are distant cousins. Throughout the three seasons of Henry Louis Gates Jr.,’s PBS series Finding Your Roots, the author and historian has used family ancestry research to track familial connections for celebrities (and between them), with some surprising results. But few of the show’s revelations have been as predictable as that of last night’s fourth season premiere: that Senator Bernie Sanders and comedian Larry David, who has portrayed him quite convincingly on Saturday Night Live, are related. Gates and his team were able to make the connection via a long identical stretch in both Sanders and David’s DNA, which indicates cousins. Ancient tomb of Santa Claus discovered beneath church. The Death of St. Nicholas. Archaeologists in Turkey may be on the cusp of solving a mystery thousands of years in the making after they stumbled on a tomb beneath the remains of an ancient church they believe contains the remains of Saint Nicholas—known popularly as Santa Claus. A portion of the site believed to contain the undamaged grave was discovered in St. Nicholas Church, located in Turkey’s southern Antalya province. The Demre district in which the church can be found is known to be the revered Christian saint’s birthplace. The head of Antalya’s Monument Authority, Cemil Karabayram, told the Turkish press the shrine was discovered during electronic surveys which showed gaps beneath the church. “We believe this shrine has not been damaged at all, but it is quite difficult to get to it as there are mosaics on the floor,” Karabayram told Cemil Karabayram. In the excavation process, archaeologists will have to loosen each tile from the mosaics and remove them together in a mold. The claims over the 1,674-year-old remains of St Nicholas would compete with differing narratives that place the original saint’s relics as far away as Italy and Ireland.